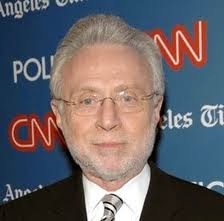 December 23, 2011 – A WINNER HAS BEEN CHOSEN FOR THE SYRPER WEEKLY PUZZLE PRIZE AND HE IS NONE OTHER THAN WOLF BLITZER!!!! 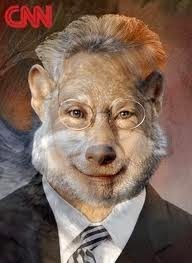 Wolf is seen here courtesy of Skype after a long night of pondering the many possibilities for error in the BONUS QUESTION OF THE WEEK. Well, he got it right when no one else could. The German-born journalist who is of Polish descent studied the Middle East at Johns Hopkins which is not just a medical college folks! He is also a rabid zionist who brings us a daily dose of objectivity on his CNN program “The Situation Room”. Don’t we all feel comfortable being regaled with his peculiar insight into Middle Eastern events? But what was the correct answer? According to Wolf, the correct answer is “CLASSIFIED”. You see, the soldiers who don’t speak Arabic in an Arab country are obviously there for another reason. But that reason is CLASSIFIED. In truth, many of you may be surprised to learn that Jordan is not an Arab country. That’s the secret behind all this. Jordanians speak a form of Etruscan patois similar to the speech patters of people from Long Island, New York. In any case, Wolf is now awarded the GRAND PRIZE: A trip to Catarrh, “WHERE THE BOYS ARE”. Wolf is seen here displaying his strong Near Eastern features which include blue eyes and pinkish flesh-tones. A son of Abraham he is indeed. WOLF, you and only you will be flown directly from New York City to DOHA, the capital and only inhabited part of the Grand Duchy of Catarrh where you will be the guest of PRINCE FATSO and MADAME BANANA. There the word “perverse” is not in the dictionary. You can give yourself up to every embarrassing ideation you held back from your mother when you were twelve. Want to spend a night with a naked Romanian orphan, NO PROBLEM, and you can do it to the sounds of American thrush, CONNIE FRANCIS, who is being held over at the Doha Airport. (Connie is seen above in front of the Doha Airports Fantasy Jungle Exhibit). CONGRATULATIONS, WOLF FROM THE STAFF AT SYRPER.